Today’s Blogger in the Spotlight is Caz Makepeace of ytravelblog.. and she shares her 10 great tips on how to keep your blog relevant and popular, even as things start to get busy while you’re travelling.. There is nothing easy about travel blogging. It requires hours of hard work and dedication. There are certain strategies and ways you can approach how you operate your travel blog so you can have the success you desire. Here are 10 simple and effective ways that you can improve your travel blogging. You should be thinking about your bigger picture from day one. Travel blogging should not be about short term goals. Think very carefully about where you want to see yourself in two years’ time. Where do you want your blog to take you? How do you want it to provide you with an income? Are you going on a year-long round the world adventure? What is going to happen to your blog once that has finished? Let’s say your short term goal was to blog about your travels through India for six months, so you called your blog travelsthroughindia.com. What happens to that blog next year when you go to Africa? Thinking about the bigger picture will enable you to make more effective decisions now. You’ve followed all the blogging gurus step by step. Your website design is smashing, your keywords are in place, your content is up, traffic is coming, but you still aren’t getting the results the gurus are getting. I can guarantee you that the one thing that stands between you and success is you. Success in blogging is 5% skill and 95% mindset and attitude. Most people skip the working on the mindset part. Becoming a blogger means you have to step out from the job world into the entrepreneurial world. It is a very different way of thinking. If you don’t evolve into it you die. Spend time every day working on your mindset. Learn from those successful mentors who have walked before you. The more often you write the better you will get and the easier it will be for you to find your authentic voice. It is your voice that will make you stand out from others. The more often you write, the more pages will be indexed by Google and the more often those in the community will see you and so get to know your brand and story. The more often you write, the faster you get at it and the more creative ideas will flow to you. Mix up your content. Don’t let it just be about providing information or highlighting travel destinations. Incorporate things such as list posts or thought posts, highlight other blogs, include videos or host your own podcast. Mix it up. The more diverse your content the more your readers will stick with you as they will know you have all the information and inspiration they need in various forms. Travellers are used to hanging out with other travellers. Think about when you are on the road, the people you are most communicating with and sharing stories and tips with are other travellers. It was the place we would always go to get most of our recommendations from. Create a community around your blog that replicates the travel experience. Make it fun, light-hearted and a place for sharing. Twitter is the most powerful networking tool. Use it as a way to connect with other bloggers, big brands and others within the industry. Your interactions need to be about building relationships not promoting your work. Don’t discount those opportunities to network offline as well. Join travel groups and meet up with other people within the industry for coffee and a chat. Is there someone outside the travel niche that you could also network with? It is amazing the doors of opportunity that can open up for you through networking and building relationships. Be friendly, be nice, share, and offer value. Travel blogging is a competitive niche. There are many new travel blogs popping up daily. Having a visually appealing blog design is really important in order for you to stand out. Make sure your blog is easy to navigate, has fast loading speed and make it simple for your readers to connect with you. You also want to make sure your posts have photos in them, preferably your own. Make them large and good quality. Photos tell a story and are what help people to imagine themselves at a place or get them excited to go. Part of your travel blogging strategy should be guest posting on other sites. This is the strategy that helped us attract new readers and spread our brand far and wide. You should be aiming for at least two guest posts a month and on blogs that are not just in the travel niche. The key to guest posting is making it your best work. Else, why would someone want to follow you back to your blog? Make sure that you promote that post as much as you would if it was published on your blog, and reply to all the comments. This is just not in the content you provide to your readers and the community you build, but is also really important with other people that you work with. A benefit of travel blogging is that you may be invited on press trips. Make sure you are honest in your reporting, but give your best work and provide value. Not only does this give bloggers a good name, but it opens up so many more doors for you for further work. We are going on our third trip with Gold Coast Tourism in a couple of weeks because they love and trust the work we do. We have also had lots of opportunities open up for us due to the value we provided whilst on the Qantas Great Crusade in New Zealand, and the glowing references we have from one of the biggest airline companies and PR firms in the world as a result. Ugh. You want me to do what??? This will turn people away as they will think I am so vain! By allowing your own light shine you allow others to do the same. If you want to improve your travel blogging you have to learn to promote yourself and the great work you are doing. And there are definitely nice ways to do it. I think of it as more celebrating the great things you are doing. And every one needs to celebrate more. To make it easier on you, just work on promoting others more than yourself. Win win! Love this post! YTravelBlog has done such an amazing job standing out from the crowd. I love that Caz says to write often and mix it up. We feel exactly the same way. There is nothing wrong with lists, throwing in a video here and there and featuring other bloggers. And I love that they say to promote yourself. If you don’t, who will? They have always had a positive attitude and are people that we admire. 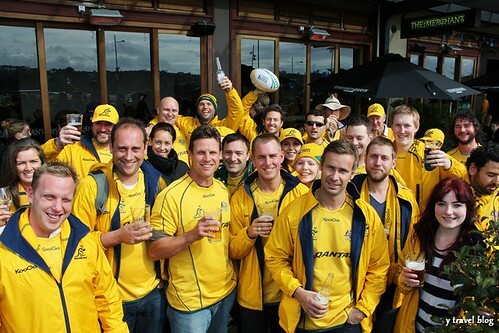 I couldn’t agree more with every point and look forward to having a beer one day with them to chat more! Love Cumin and Ciki as well! There is a reason that you are a leader and have longevity. It’s all about being open, engaging, generous and providing excellent content which is exactly the reason that we follow this blog. Cheers guys! I love them too! Great points to consider.. sometimes you loose sight of things with travelling and blogging and this post helps you refocus and channel your strengths the right way;) Great post Caz! We can’t wait to have a beer with you guys as well!! Thanks so much for your positive and encouraging comments. That is why our blogging community is so great. We want to help inspire and encourage each other. You guys rock and keep us focused on moving forward. Thanks to Cumi and Cuki as well for always being positive and inspiring. Caz and Craig are an amazing couple. They manage all of this and have a couple of kids. It goes to show a little bit of elbow grease goes a long way. Very inspirational and we have a lot to learn but BIG dreams! Its amazing how many travellers and bloggers there are online! 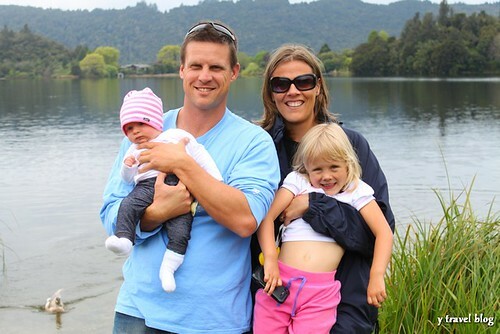 I love reading how Caz and Craig travel, blog, have a family and still find time to be happy! Blogging is a juggling act – and one that does take work. Working out who you are is really important, and there are a lot of great tips in this blog post! Wow these tips are so helpful! I learn something new everyday but I’m glad to see that I’ve been following these tips. I’ve found producing quality content, networking and thinking of the long term goal very helpful in developing my brand. Thanks! It is great to have these tips from experts like ytravel blog. I feel I do well in some, but I could be stronger in other areas. Well said… Sound insight. You’ve given me a lot to think about. Thanks for stopping by Meghan.. glad you like it! This is the most sound top 10 tips on travel blogging which i subscribe. 🙂 I will try my best to follow through these tips as I evolve into the travel blogging world. I agree.. 10 easy tips to start with.. that’s a good foundation if any! I’m so happy to have come across this post. I’m new to this and still learning the ropes of blogging, so I’m very grateful to receive tips from other travelers. It’s comforting to know that there are people out there sharing information within the travel community. Thank you!! As a new blogger planning an around the world trip (traveling until I’m broke) I found this post very helpful. I’m a writer, in addition to being a new blogger and I can defiantly vouch for the fact that the more you write the better you get and you develop your own style. Good post! This is a good reminder to all travel bloggers to make the most of their travel adventures so they can share more content to their readers. As for me, I tend to really visit blogs with good narration and is visually appealing as it gives me the feeling that I have been to that place even if I am on another part of the world.